A.J. Baime is the New York Times best-selling author of The Arsenal of Democracy: FDR, Detroit, and an Epic Quest to Arm an America at War and Go Like Hell: Ford, Ferrari, and Their Battle for Speed and Glory at Le Mans. Both books are in development for major motion pictures. 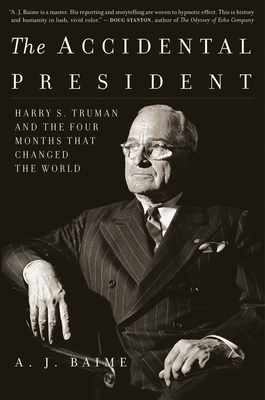 His latest book, The Accidental President: Harry S. Truman and the Four Months That Changed the World, was published in 2017. Baime is a longtime regular contributor to the Wall Street Journal, and his articles have also appeared in the New York Times, Popular Science, and Men’s Journal. He holds an M.A. in literature from NYU and currently lives in Granite Bay, California. Visit A.J. at Facebook.com/ajbaime and Trumanbook.com.